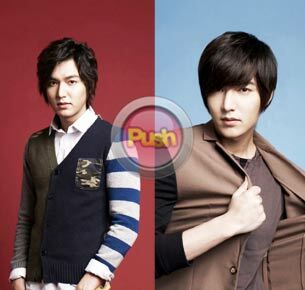 After becoming known to Filipino audiences through shows like Boys Over Flowers and City Hunter, Lee Min Ho finally got to visit the Philippines as an endorser for a local clothing line. The model-actor admitted that he prefers to wear dark colored clothes that aren’t too loose or too tight on his slim frame. “Fit is very important. I like my clothes to fit well,” he shared. The 24-year-old actor said he can be very adventurous when it comes to fashion. “I don’t have a particular style icon, but I do have a lot of interest in trying out different kinds of clothes and I do take an interest in what other people are wearing and when I like something I’ll try it on. During my campaign shoot, I noticed that there are lots of nice colorful skinny jeans which I thought was very stylish. I also like the oxford jacket. Generally, I like clothes that are kind of young and stylish looking,” he recalled. When it comes to accessories, Min Ho prefers to wear only one at a time. “I like to keep it simple so my favorite accessory would be just a ring or a bracelet,” he shared. Min Ho also stressed the importance of completing his look by having a good hairstyle as well. “When I’m not working, I try to look like I didn’t really try so it’s kind of like styling it to look like it wasn’t styled. But if I’m attending an event then I will put extra effort into it. But basically I think the most important thing is to be appropriate whatever the occasion is,” he said. The star of the upcoming Korean series Fate, which is set to be aired on ABS-CBN early next year, also gave some grooming tips to his fans. “First of all, you really have to have a love for it, in doing your hair. I have always been particular with my hair. When I was younger when I would have to meet up with a friend and I didn’t like the way my hair looked… so there was a time when I even washed it up to three times and I still didn’t like it so I didn’t go out anymore. Now it’s very convenient because I have a hairstylist that takes care of all that (laughs),” he admitted. Channel Min Ho’s hip preppy look with a pair of slim-fitted colored pants, long-sleeved polo shirt, vest, and a pair of tasseled loafers. Look clean-cut but not too uptight by personalizing the look with simple accessories. Layering is also encourage, but avoid oversized or ill-fitting clothing as the key to this look is looking like everything was tailor-fit for your frame.